Introducing the value oriented Alternating Pressure for Home Care. 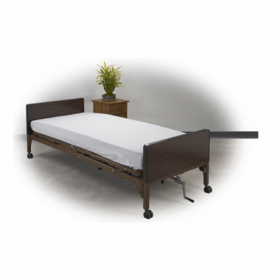 This alternating pressure mattress system is ideal for a patient with a limited budget. This home care alternating pressure mattress does not sacrifice quality. The adjustable air mattress combines dual therapies of low air loss and alternating pressure in one unit. 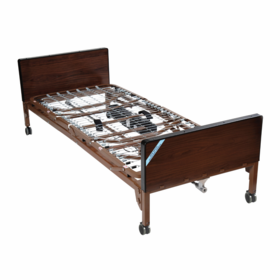 The alternating pressure mattress fits easily over a standard hospital bed. The light weight pump uses alternating pressure therapy combined with a low air loss circulation to reduce heat and moisture on the patients skin. Removable cover easily snaps off and can be washed in normal washer and drier. This mattress can be used with standard cotton sheet. The adjustable yet quiet user friendly pump is designed to treat pressure ulcers stages 1-2. The mattress has 20 individual bladders that allow for deep submersion and excellent pressure redistribution. The durable whisper quiet pump alternates in 10 minutes intervals. The adjustable air flow dial provides custom pressure settings for each patients comfort and individual requirements. 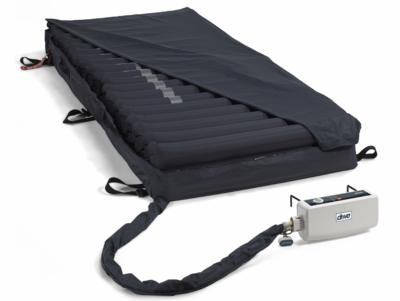 This alternating pressure mattress system added the static float convenience feature to the pump. 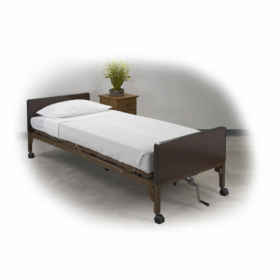 Static float allows the caretaker to suspend the alternating therapy placing the mattress in static mode for ease of transfer or dressing. 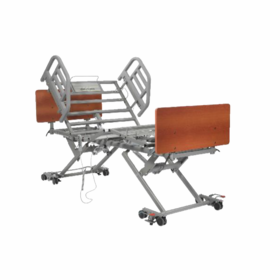 High Quality Hospital Bed Equipment for Sale Online!